In the world there are two kinds of people: The Ants and the Grasshoppers. The Ants are very wise, very hard-working. The Grasshoppers? As a Grasshopper, your editor attests that we enjoy life, give and take a lot of fun, and see and hear and feel a lot of what is lovely in this old world. We watch waterfalls, and sunsets, we sing and make music, and share what we experience when we can. And as my Irish granny used to say, "The Lord will provide..."
Perhaps some Ants won't "provide," of course. But then, there are other Ants who do "random acts of kindness" for our "senseless acts of beauty." 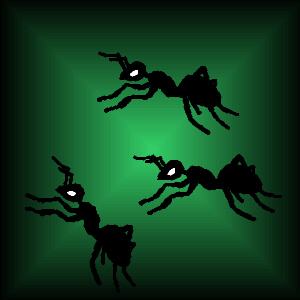 If you eat, drink, and are very, very merry, remember... you will probably meet an Ant. "When one does not see the Forest for the trees, there too often comes a loss of perspective." The ants were spending a fine winter's day drying grain they had collected and stored in the summertime. 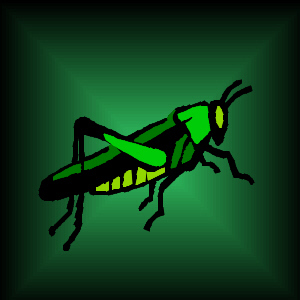 A Grasshopper, shivering with hunger, passed by and earnestly asked for a little food. The Ants inquired, "Why did you not harvest and store food during the summer?" The Grasshopper replied, "My friends and I watched the flowers and the waterfalls... We sang and made each other happy. And the other forest creatures received joy from us and the beauty we shared with them..."
The Ants then said smugly: "If you were foolish enough to sing all the summer, you must dance supperless to bed in the winter." When Spring came, the Ants were astounded to see that the Grasshoppers had survived... skinny, but alive. "Whom did you find to sponge on," queried an Ant who was a tad down at the mouth to find the Grasshoppers still around. "Why, nobody," he was answered. We supped on wind-blown fodder and some wasted grains of wheat amongst the chaff from the Miller. "Well," sniffed the Ants, "I don't hear you singing!" "True," said the Grasshopper. "And we don't see you smiling."